Repeating the sad story about how iOS’ volume HUD leaves a lot to be desired feels a lot like beating a dead horse. You’d think Apple would have done something about this concern by now, but as always, it’s the jailbreak community that offers the fastest refuge. 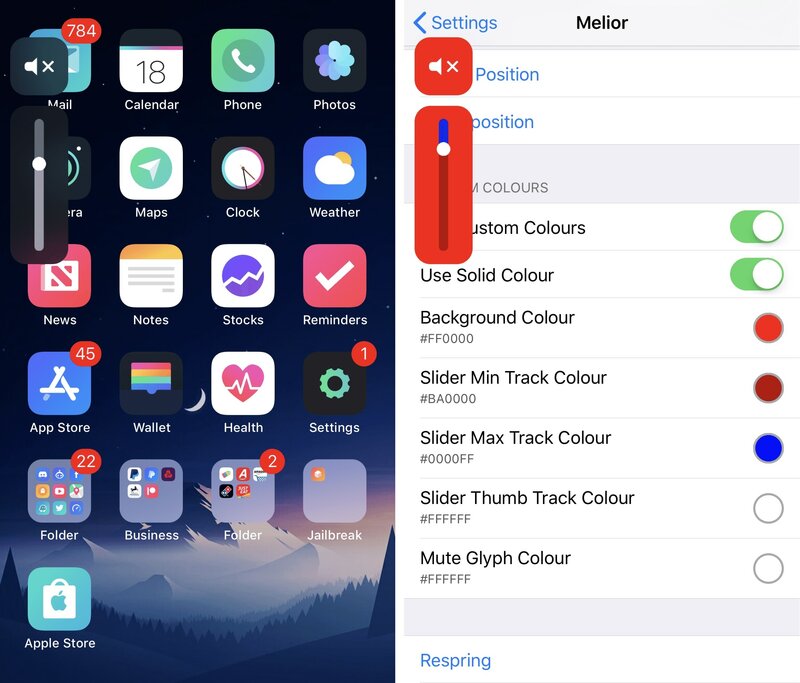 Melior is a volume HUD-centric jailbreak tweak coded by iOS developer SparkDev and designed by Dennis Bednarz that produces one of the cleanest alternatives to iOS’ terrible volume HUD that we’ve seen. In the screenshot examples above, you can discern how Melior looks in various iOS interfaces. 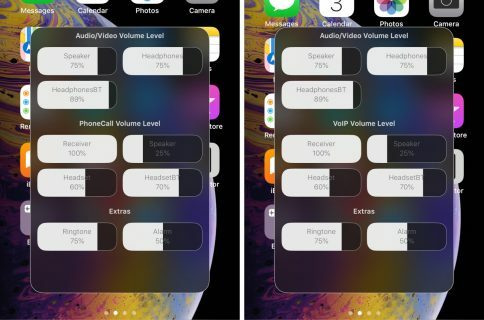 At first glance, it seems to have received much inspiration from iOS 11’s video-based volume HUD, but there are some notable distinctions as you’ll soon find out. For one, you’ll find that unlike the stock volume HUD, you can actually interact with the Melior interface. For example, you can adjust the volume level up or down by swiping up or down on the interface instead of pressing the hardware buttons. The developer includes a handy respring button at the bottom of the preference pane where you can save any changes you make on demand. We’re particularly excited to see all these different customization options because everyone prefers their interfaces to be a little bit different than the next guy. This means Melior is flexible enough to satisfy anyone’s needs. If you’re interested in trying Melior for yourself, then you can download it for free from SparkDev’s beta repository. If you’re not already using SparkDev’s beta repository, then be sure to check out our comprehensive list of third-party repositories and the included notes encompassing how to add them to Cydia. Melior works on all jailbroken iOS 10 and 11 devices. Do you think Melior improves the stock volume HUD experience in iOS? Don’t take our word for it; try it out for yourself and let us know in the comments section below!